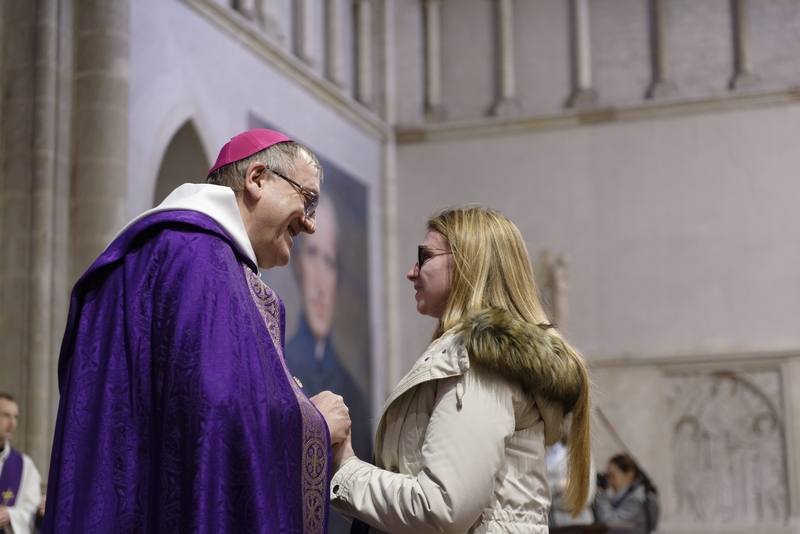 The Shrine of Blessed Basil Moreau was pleased to welcome the catechumens of the Diocese of Le Mans for the Rite of Election, presided over by Msgr. 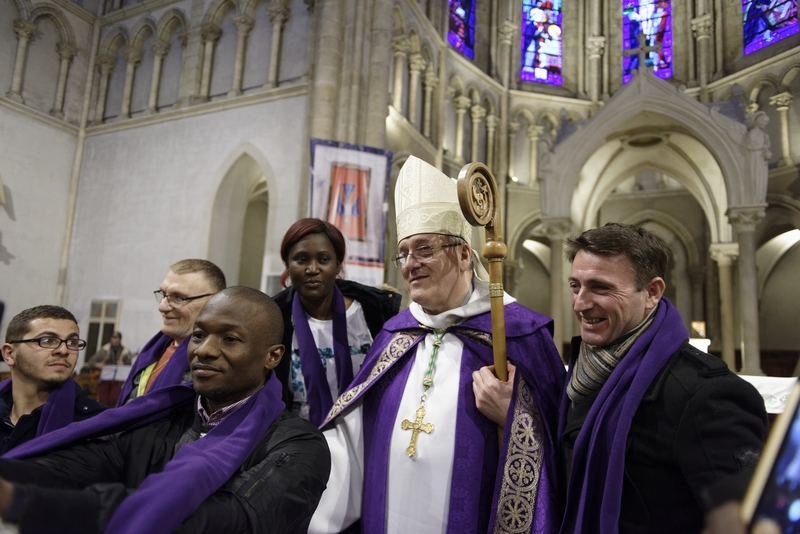 Yves Le Saux, bishop of Le Mans. 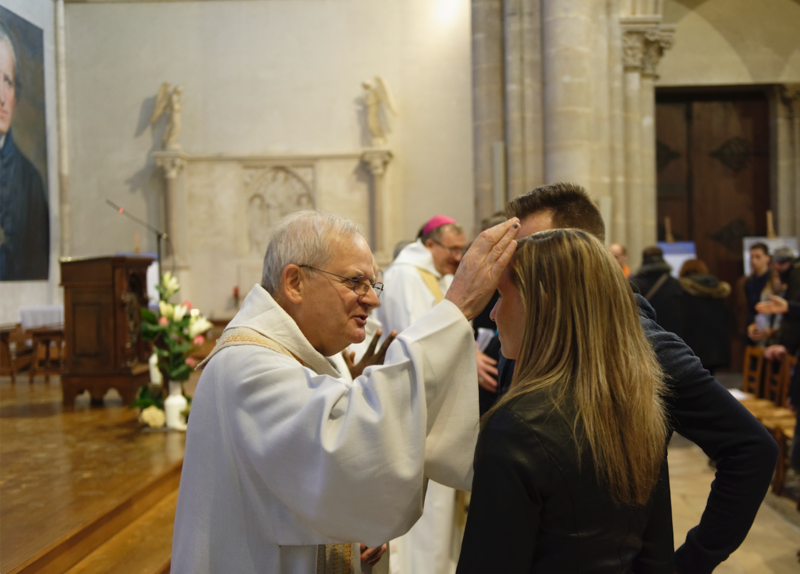 The Rite of Election is a significant step for those who wish to be received into the Catholic Church. 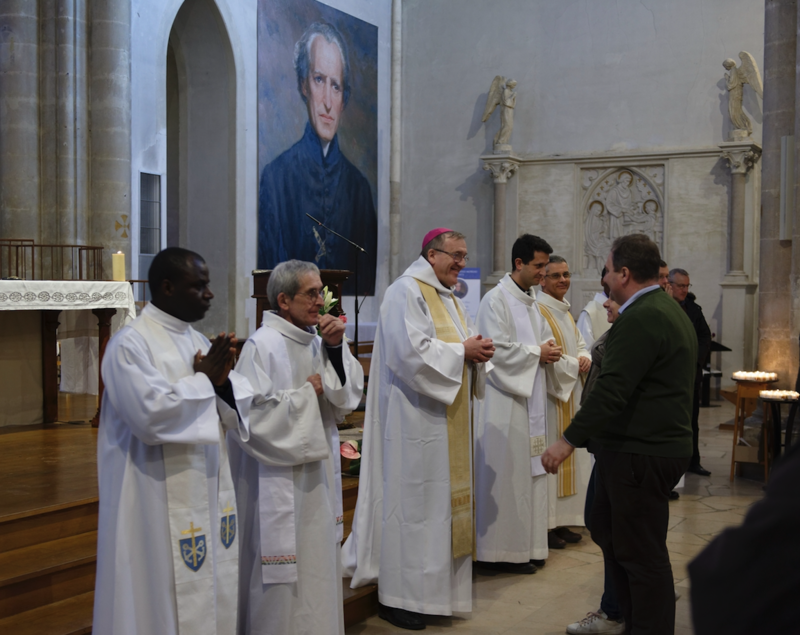 Present at the rite were numerous priests serving in the diocese of Le Mans, including Fr. 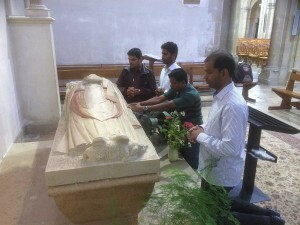 John De Riso, csc, rector of the shrine and pastor of the parish of Our Lady of Holy Cross. 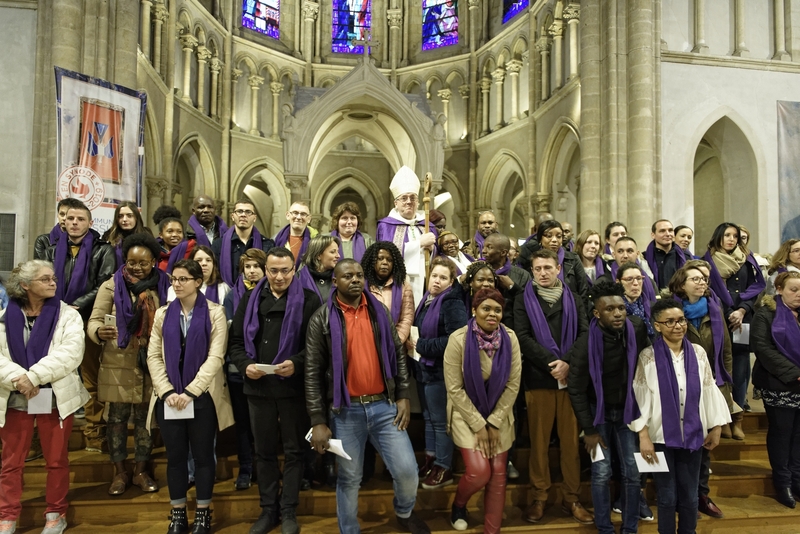 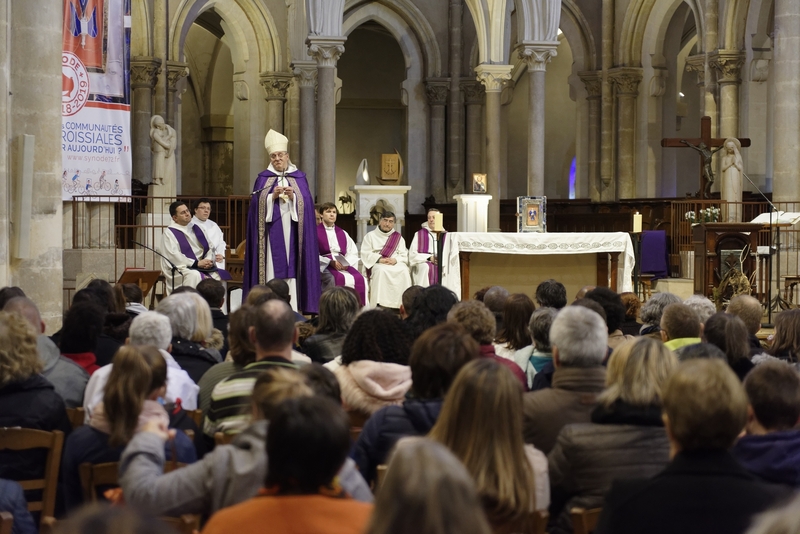 On March 3, after a day of reflection at the diocesan center (Maison Saint-Julien), couples preparing for marriage in the diocese of Le Mans made the short journey to the shrine of Blessed Basil Moreau for a prayer service presided over by Msgr. 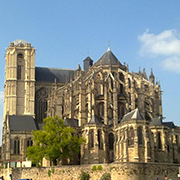 Yves Le Saux, bishop of Le Mans. 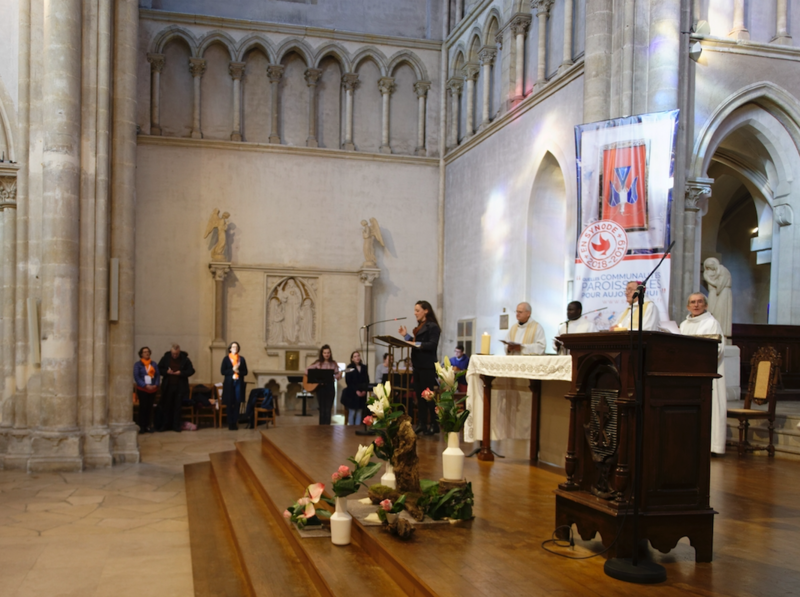 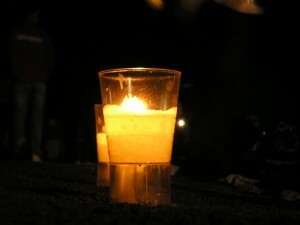 The prayer service included a welcome by Fr. 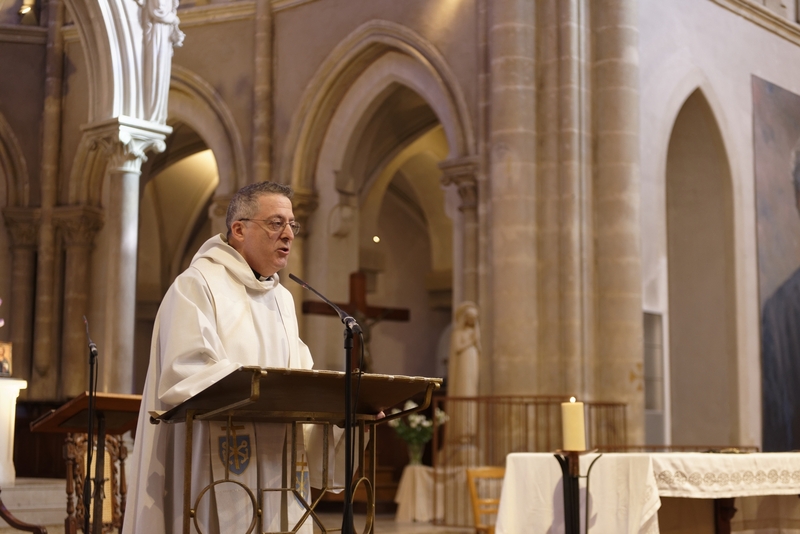 John De Riso, csc, rector of the shrine, readings from Sacred Scripture including the wedding feast of Cana, a homily by Msgr. 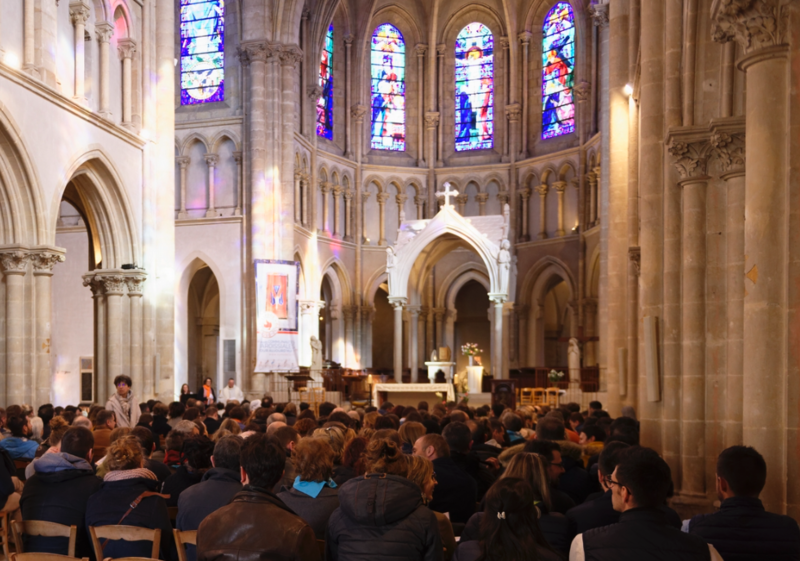 Le Saux on the abundant love of God for humanity, and blessings of the engaged couples. 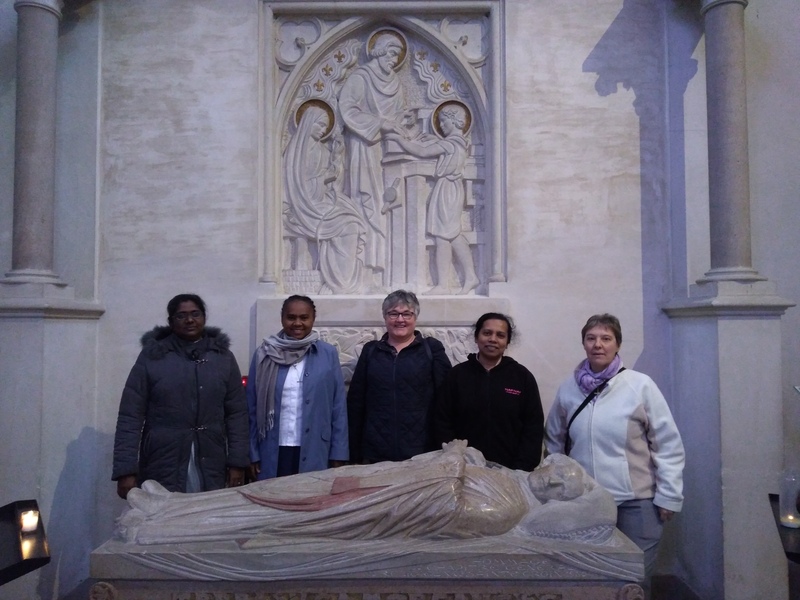 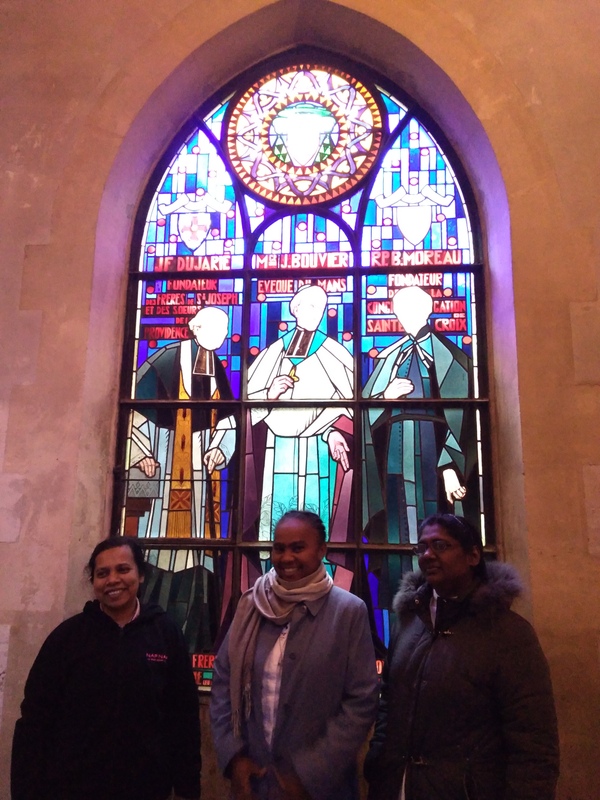 The Shrine had the pleasure welcoming two members of the general council of the Sisters of Providence of Ruillé, accompanied by a regional superior from Madagascar and two regional superiors from Sri Lanka. 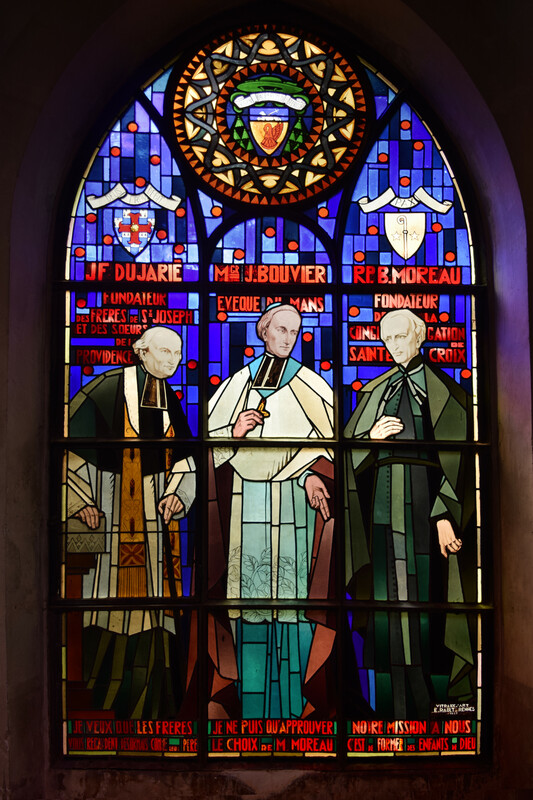 The Sisters of Providence of Ruillé were foudend by Father Dujarié who was also the founder of the Brothers of Saint Joseph which he later entrusted to Father Basil Moreau. 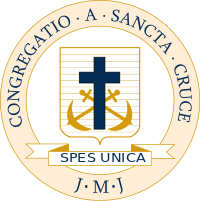 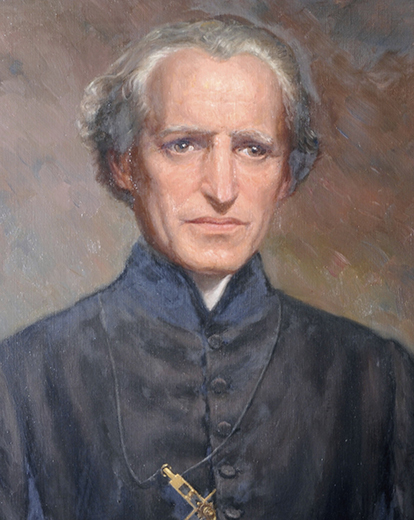 It was Father Moreau who joined the Brothers of Saint Joseph to the auxiliary priests to form the Association of Our Lady of Holy Cross, which would later become the Congregation of Holy Cross.